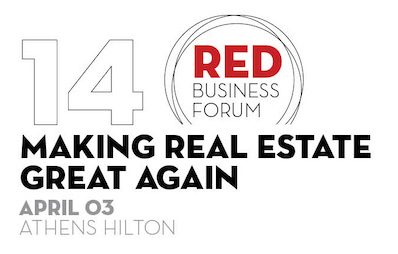 The 14th Red Business Forum took place at the Athens Hilton Hotel on the 2ndand 3rdof April and 8G Capital Partners was present. The Business Forum on “Making Real Estate Great Again”, attracted the Greek Real Estate specialists and as expected the panels were lively and interesting. Our MD Tassos Kotzanastassis was a panelist in a discussion on “Data Driven Credit & Asset Management”. Thank you all for a lovely discussion!